March started with snow of all things, A LOT of snow for little ol' Southampton. We stayed cosy for the majority of the time we were blanketed in white stuff, only going out for ten minutes to get those all important snow photos for the 'gram. Once the snow cleared, Joshua, Emily and I went on an adventure with Holly around Southampton which mainly involved eating food and then some cake. I'm not complaining! Joshua turned five months old and showed off his very fabulous penguin outfit. I spent the evening with a group of fabulous bloggers chatting blogging, pizza and wine! Lily Pebbles book was finally released and I snapped it up, I've followed Lily for years and I can't wait to get stuck into it. Joshua and I had a fun filled afternoon with his Aunty Emmy although he did steal her cuddly Sloth and we haven't been able to get it back off of him yet. 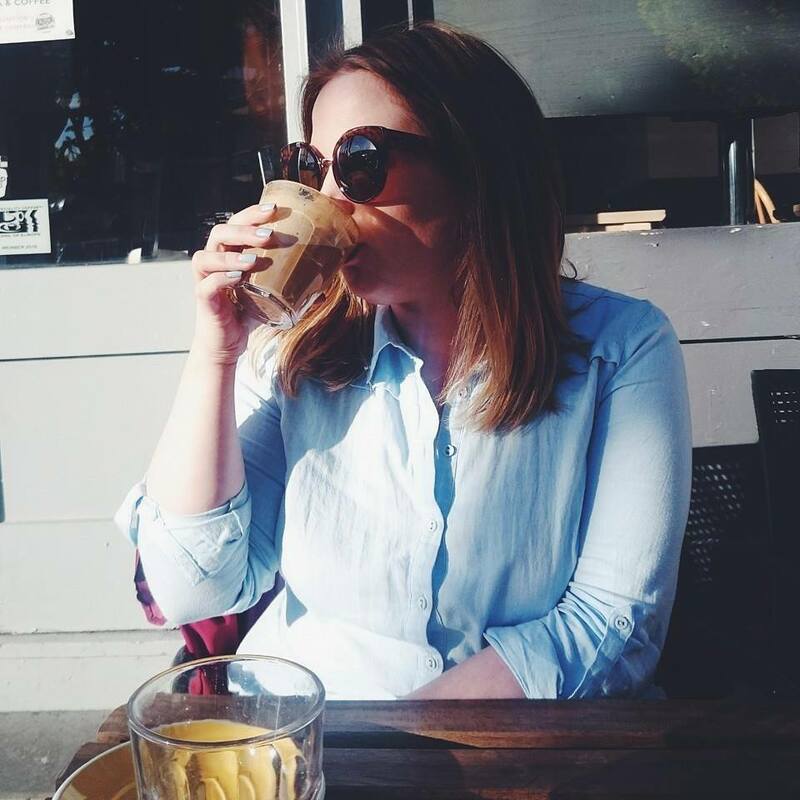 I find my straw bag of dreams and drank a lot of coffee. 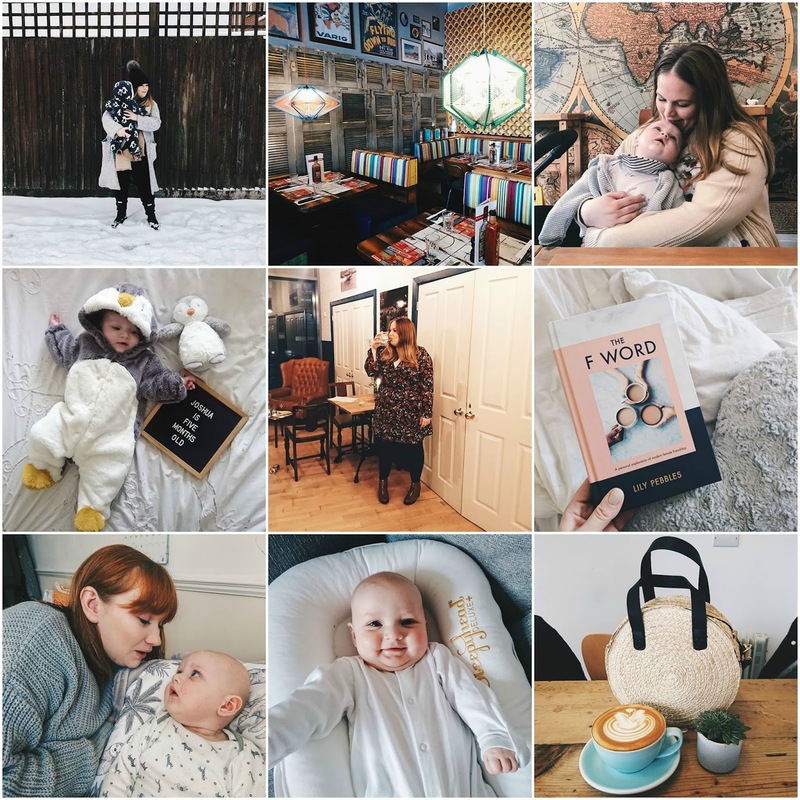 I'm loving your IG at the moment, it is so lovely to scroll through! :) Joshua is always the cutest too! Your IG is BEAUTIFUL. I love these posts, its such a lovely way to remember the month and look back over the things you've done. Joshua is so adorable, and has an amazing wardrobe! Loving the penguin all of the time! I can't believe Joshua is 5 month its all going so fast isn't it?! How is Joshua 5 months already?! Looks like March was pretty fab! These are my favourite type of post to see, although I stalk your Instagram so I've seen all these pics...can you create a special one just for me with unseen pics next time? Ta. I love these posts. It does seem like it’s flying by at a rapid pace!